I recently created a WordPress website for a group of Gyms that need to show timetables full of upcoming sports and fitness activities. After trying a number of different plugins out I finally settled on the excellent Calendarize It, which is available on Codecanyon. It’s packed full of features and creates great looking diaries and calendars that you can easily add to the pages on your site. You can even set it up so people can book places on your events. and anyone else that needs to show things a a calendar. 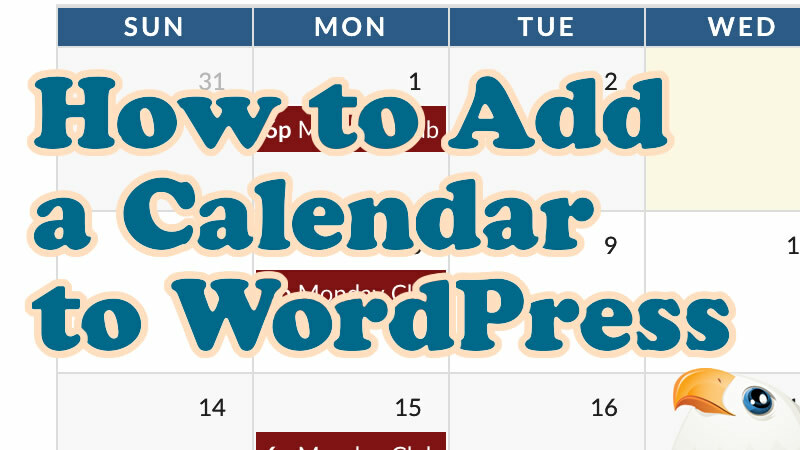 In this short video tutorial I take you through installing the plugin and creating your first calendar. If you have any questions please post in the comments. It should work with most themes. I’ve used it with a few with no problems. Have you asked the developer for help?